This was a gift that went to the South of the US as a gift for a family Christmas. This was for a military man that will be deployed to Japan. He wanted name translations for his family. How thankful I am for the men and women who serve so diligently, so I can enjoy the freedom and liberty of my life. The first is Aaron. The first character is the same as in the Japanese Self Defense Force (Jieitai) and Ron in the character for to argue. Someone who argues for the defense of the country. 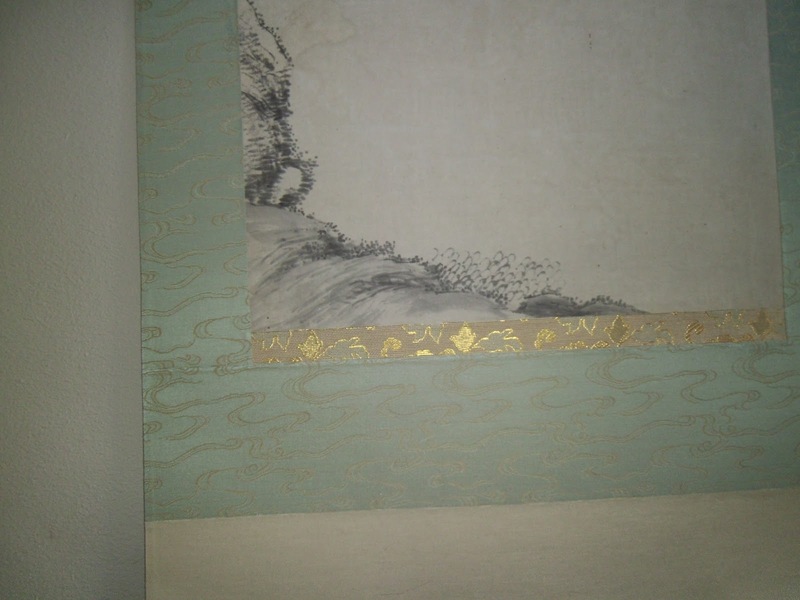 The scroll is written by Ryugyoku, Yoshimi Yamada Maples in the Gyousho or semi cursive style on paper. The scroll is done in a Sandan Hyougu (Three Step) style. 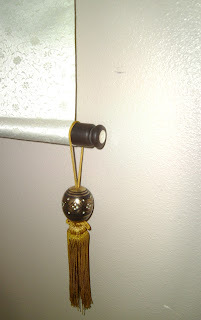 It is completed with a rosewood Jikusaki and the Kodai San iro Hanging string. This was a gift that went to our neighbor to the North. It was for a lady who wanted to do something special for her significant other. She went all out on ordering a special cloth, Fuuchin and kiribako for storing the kakejiku. Her spouse practices Martial Arts, which make this kakejiku a great gift. Yoshimi kept the line of poetry in traditional calligraphy and translated the phrase only using Kanji characters and no syllabic Hiragana or Katakana. It is written in Kaisho style, very formal, and is framed in an informal maru hyougu stle. The scroll's Fuuchin are very beautiful and both the Kakehimo and Fusa (Tassel) for the Fuuchin is in Kincha (Gold Brown). 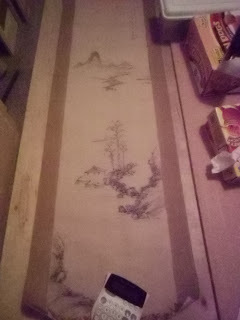 The scroll is completed with a Kokutan Hone Tsuke Designed Jikusaki. This is a followup of the finished painting remount. Please see the link here. This are the final pictures. I really like the blending of the colors and patterns of all three cloths in this scroll. The customer spent a lot of time in consultation. 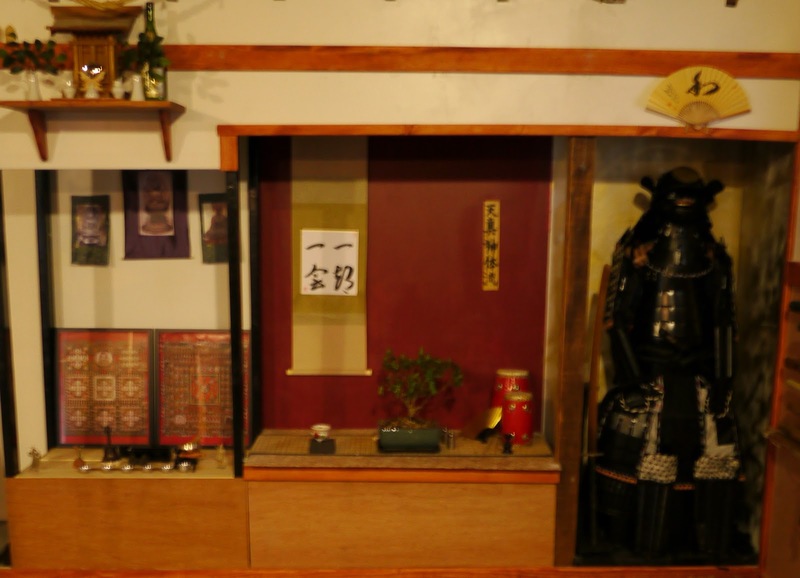 This was a separate order from the Golden State Bonsai Federation show. It is a georgeous cloth, with a simple pattern. The poem in this one is referenced in a previous post for Autumn season. Seifuu Banri no Aki. http://wallscroll.blogspot.com/2011/09/sakuya-issei-no-kari.html Hopefully, we will see this kakejiku also paired and displayed with a bonsai someday. 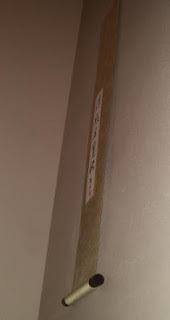 The scroll is written in Gyousou. A mix of cursive and semi cursive, by Yoshimi Yamada Maples. The scroll is completed with a Shitan (Rosewood) jikusaki and the Kodai Saniro Hanging String. This print was from Artist Dee Teller. She is a very talented sumi painter. 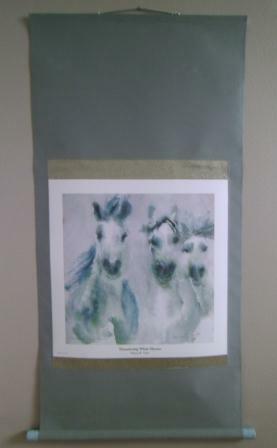 The horses are so lifelike and the colors so soft. I chose colors that would help to bring out the print while still being framed in the white to provide relief to the eyes. 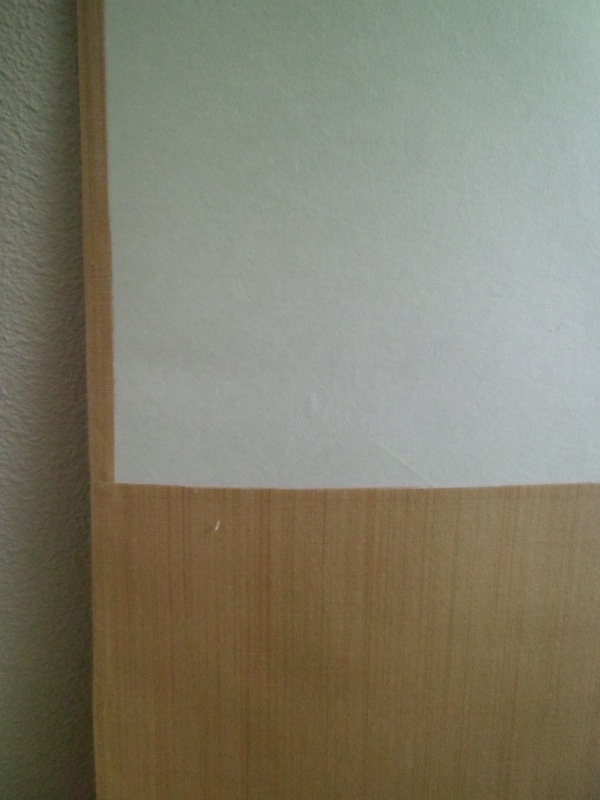 Even though the border of the print has white, I did not list this as a daihari in the table measurement below. 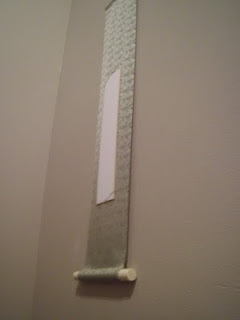 The scroll is made with a ginran for the ichimonji, and the jikusaki is a ceramic light blue with white fleck. The hanging string is takuboku. Yoshimi wrote this shikishi Ichigo Ichie for this dojo. I especially like the armor. Her writing is beautiful. The scroll is not mine. 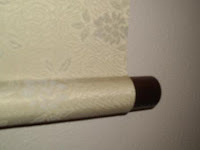 I have seen many of these modified Sandan Hyougu scrolls. 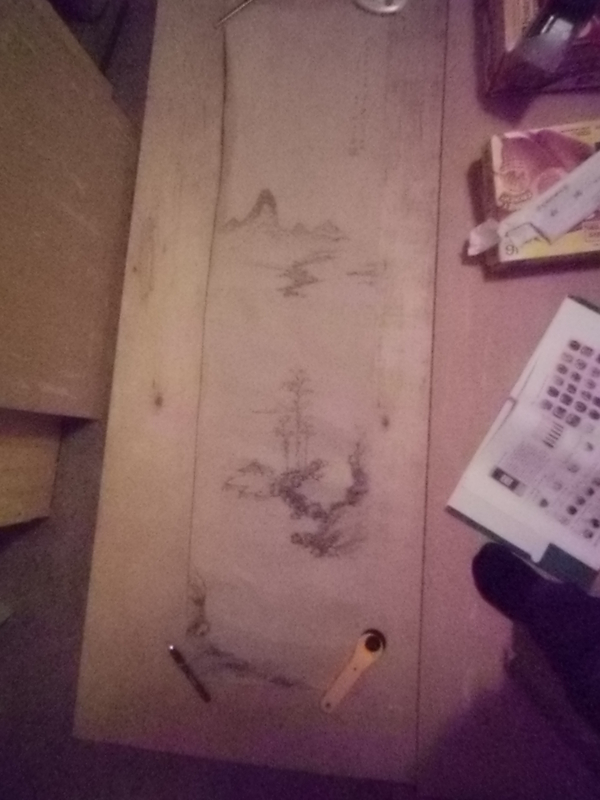 I think two tone scrolls are more traditional with the chuumawashi having a small karakusa (arabesque) with a solid cloth color for the Ten & Chi. Another Dragon sumi work made into a scroll for a New York artist. This was painted by Polish artist Mariusz Szmerdt. It is his vision of a photograph of a waterfall in Yosemite National Park. I am taking this to the Golden State Bonsai Federation this week, and intended to sell that there, but think it will be difficult because of the large tree in the painting creating redundancy in display. 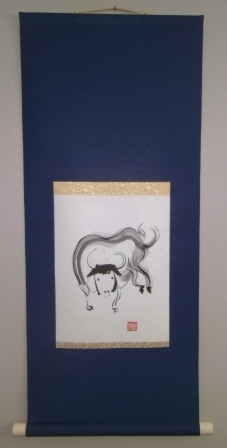 This Ox Painting is the Sumi work of a New York artist. This is the second set of paintings she sent to me. I am glad to be able to do the work. I like the simple brush strokes, but they are still complex because there seems to be some wet on wet and the tones in some brush strokes are darker to lighter. 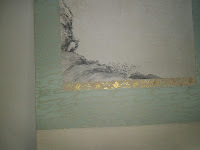 She chose the same Navy silk with the gold on gold small karakusa for the ichimonji. 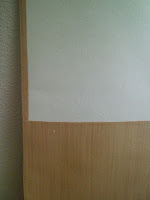 The scroll is completed with the Usukincha kakehimo and ivory plastic jikusaki.